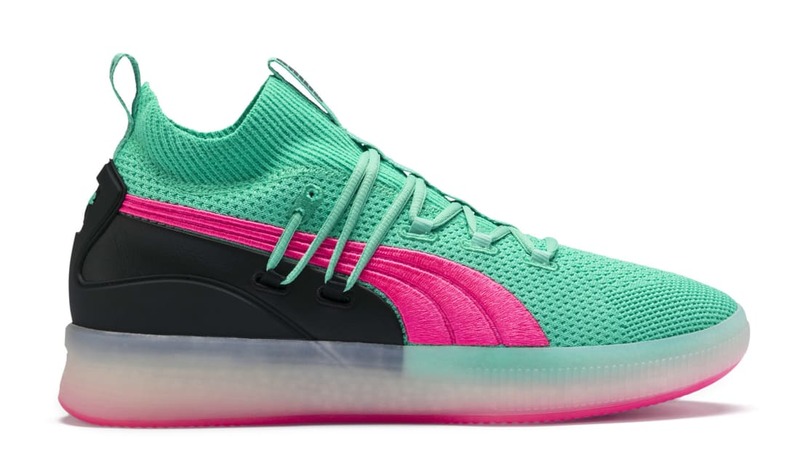 The Puma Clyde Court "Ocean Drive" will feature Miami vibes with a vibrant teal, pink, and black color combination on the knit uppers with a translucent midsole and a pink outsole. Release date is Dec. 8, 2018 at a retail price of $120. News Puma Clyde Court "Ocean Drive"